Last night Fuego Blanco Sydney's youngest and most enthusiastic tango orchestra performed for Sydneysiders to dance to. And they did an admirable job. Just back from Buenos Aires where they continued their studies with the Escuela de Tango they played music that was enjoyable to dance to. When they played Piazzolla's Libertango they acknowledged that it wasn't a piece many liked to dance to, but they played it with a passion that kept the dance floor moving and won them applause. I can't wait to hear them again next Sunday at the Victoria Room. There is tango to dance to, tango to listen to and tango for those who ride in lifts! The first is the tango that dancers want to hear - and there is a wealth of music from the Golden Age of tango music. 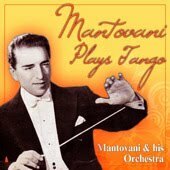 Generally thought of as the period from the mid 1930s to the end of the 1940s, dozens of orchestras performed and recorded the the tango music that was being danced in the milongas around Buenos Aires. In the past two decades modern orchestras such as Color Tango, Sexteto Mayor and El Arranque (to name a few) have recorded the old songs with new, but mostly very danceable, arrangements. So why am I blabbing on about the music? Because at last night's milonga, apart from an occasional danceable tanda of milonga or waltz music - a mixed up D'Arienzo tanda and a Di Sarli tango, those who ride in lifts would have felt more at home with the DJ's selection, than did many of those who dance tango.I was disappointed as I know this DJ understands the music better than many who put together playlists and I was expecting to be able to dance all night! Like many who love Golden Age Dance tango I spent more time sitting. And the floorcraft (see below)? It was much, much better than last time I visited this venue. Maybe the DJ didn't want the music to compete with the orchestra? The best "elevator" music was in the "golden age" of the milongas in Club Español, where we would ascend to the salon on the 2nd floor in a gorgeous gilded cage elevator -- with a red velvet bench -- and the classic tango music of DJ Dany would float down. Sigh.